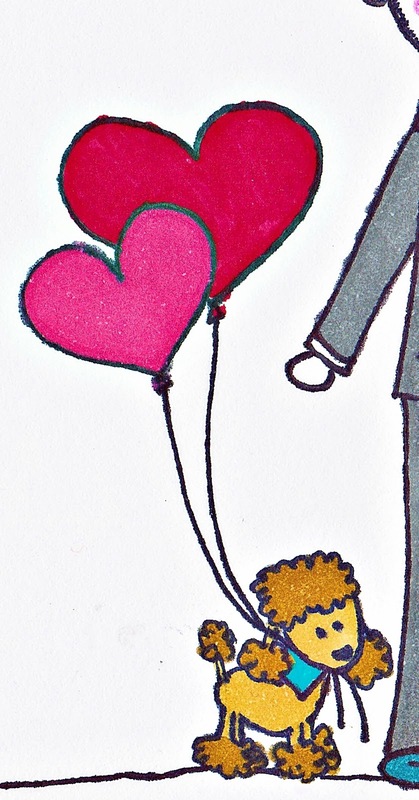 StickgirlProductions Custom Design "Kelvin & Jennifer"
Close up of the bridal dress and the pet poodle. 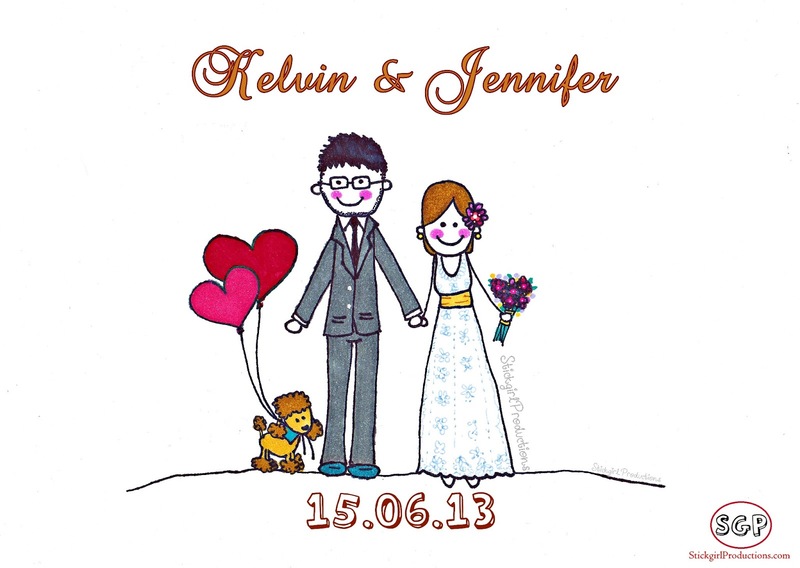 StickgirlProductions : "Kelvin & Jennifer"
I was approached not by the couple, but by the bride's younger sister Nacintha who wanted to present her big sister with a custom design wedding portrait of both Kelvin & Jennifer. 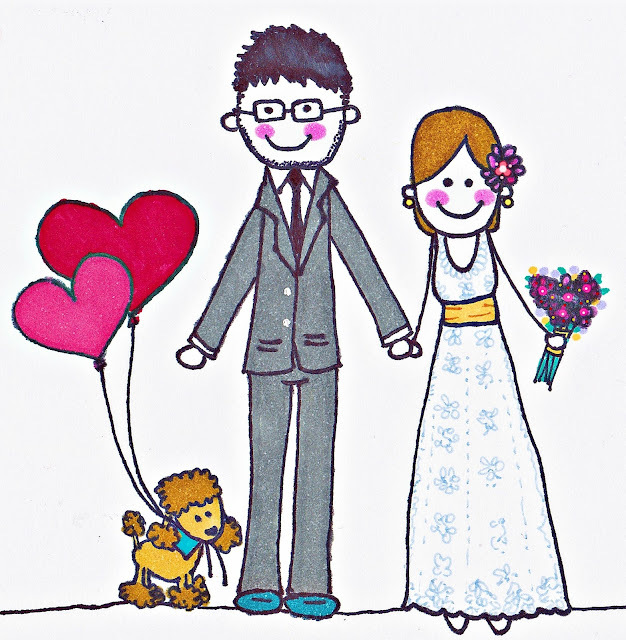 Nacintha allowed me the freedom to design the picture with the only instruction is to add the couple's baby poodle :) She sent over a picture of Kelvin, Jennifer and their baby poodle and I designed the piece to best represent them. 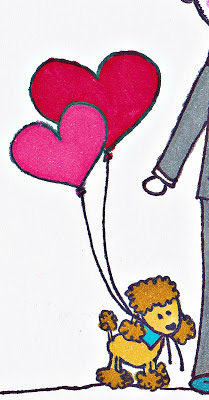 I made sure to incorporate the poodle into the piece by making it have a role (balloon handler!) rather than have the poodle just stand there like another prop. It worked well, I really love how the poodle turned out (it was my first time drawing a dog too!). 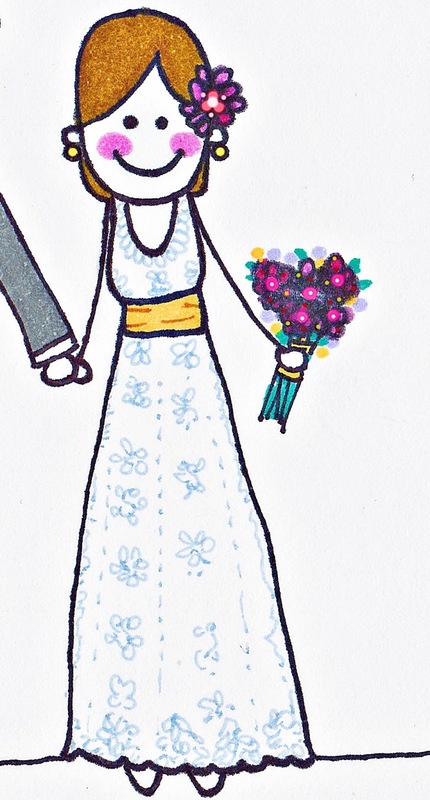 I also decided to make the dress pop by add some lace design. I had so much fun designing this piece :) Thanks Nacintha for the opportunity and I hope Kelvin & Jennifer loved the piece! Congratulations and best wishes to the happy couple and to you Nacintha on gaining a brother.